Losing weight can be difficult for anyone, and living with type 1 diabetes definitely doesn’t make it easier. However, there ARE people who set out to lose weight and end up so extraordinarily successful that you wonder if they have some inside information you don’t. That information EXISTS. I’m here to give you the rundown on how to lose weight with type 1 diabetes (actually, most of the advice is relevant for people with any type of diabetes). Without further ado…let’s GET TO IT! How about protein, carbs, and fat? How much should you exercise, and what type of exercise? True or false: it took more than a week to gain the weight you are trying to lose. The answer is undeniably “True”. So if it took you X number of months to gain weight, why would it take you a week or two to lose it? It doesn’t. It takes time and some concerted effort. Don’t expect to lose all of the weight immediately, but know that with proper habit formation and consistency, you WILL see the results you are after. The general rule for healthy weight loss is to aim for A MAX of 1-2 lbs. per week. It’s also quite common for people living with diabetes to take as long as 2-3 weeks before seeing any weight loss at all on a new diet. Changing caloric intake and workout routines may require a reduction of insulin (or other diabetes medication) as well as diet manipulation, which takes a little trial and error to adjust. Once the ball is rolling, a slow and controlled weight loss makes it much more likely that the weight will come off and STAY off than if you crash dieted and lost a lot of weight quickly. 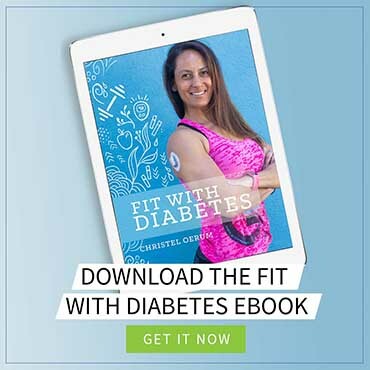 To learn more about setting realistic goals, read “How to set Realistic Diabetes and Fitness Goals and Find Your Positive Motivation”. From a thermodynamics standpoint, if you are eating fewer calories than you are expending, you should THEORETICALLY lose weight. No system is perfect, but this is the general premise. However, this whole “eat less than you expend” advice gets blown out of proportion quite often as you see people slashing their diets to nearly nothing or eating just grapefruits all day. This will work in the very short term, but will seriously decrease your metabolism while you mostly lose water weight that will come right back when you finish your diet. The first step in any weight loss program is, therefore, to calculate how many calories you should eat per day for a healthy weight loss. Luckily, there is a guide here on Diabetes Strong that explains how to do this in 5 easy steps. So before reading on, please go to “How to Find Your Daily Calorie Need” and calculate your daily calorie need. Then come back here and continue this guide. I’m not going to stand here and tell you that there is only one way to lose weight with type 1 diabetes. I’ve had experience losing weight on a high carb diet, low carb diet, and moderate carb diet. They’re all predicated on the aforementioned “calories in, calories out” equation. In other words, protein will help keep you fuller for longer after meals, which is key in a situation where you are eating less than you may be accustomed to normally. Recommendation: Increase protein to 0.5-0.8g/lb of bodyweight per day. It will help you keep your hard-earned muscles while losing weight. …and recognize that there is NOTHING scary about them, they deliver a great deal of benefits, and they are delicious! Carbs are great for those quick bursts of energy you need during a workout. They also provide fiber, which is critical for digestive health and increasing satiety. Fat will come in handy during a long, sustained workout as the primary energy source. Fat also provides omega-3s, which are useful for anti-inflammatory effects as well as visual acuity, and additionally is the building block for hormones, like testosterone and estrogen. The keys are the sources from which you get them. Try to stick to the whole food, lesser processed varieties of fat and low-glycemic carbs, rather than the Frankenfoods that have been sitting on the shelf at the grocery store for ages. The other key is HOW MUCH of each to eat. At the end of the day, it truly comes down to what works best for you and your blood sugar management. Maybe fewer carbs work for you but more carbs work for me. But, after determining calorie and protein needs, try to partition the remaining calories pretty evenly for fat and carbs. For example, if your calorie requirement is 2000 per day and your protein needs require 800 calories, try to split the remaining 1200 calories evenly between fat and carbs (600 calories each) and work from there to determine the optimal amount for you and your goals. Maybe you’ve heard it, maybe not. Either way, it is very true. It’s really difficult to overcome a poor nutritional intake. Really, REALLY difficult. However, what if we…dare I say it…utilize BOTH? Both anecdotally and in the research, combining diet and exercise will result in the best outcomes while also setting you up for sustained success, as ideally, this weight loss should kick off a lifestyle change. If you are just starting out, you don’t want to go 0 to 100 real quick, because you may burn out or get discouraged. I recommend a combination of resistance training and cardiovascular training for optimal results. People overlook resistance training in the context of weight loss. This is what is going to help you KEEP your hard-earned muscle mass during the calorie reduction. That muscle mass will keep your metabolism firing. Your metabolism firing means you’ll burn more calories ALL the time, working out or not! 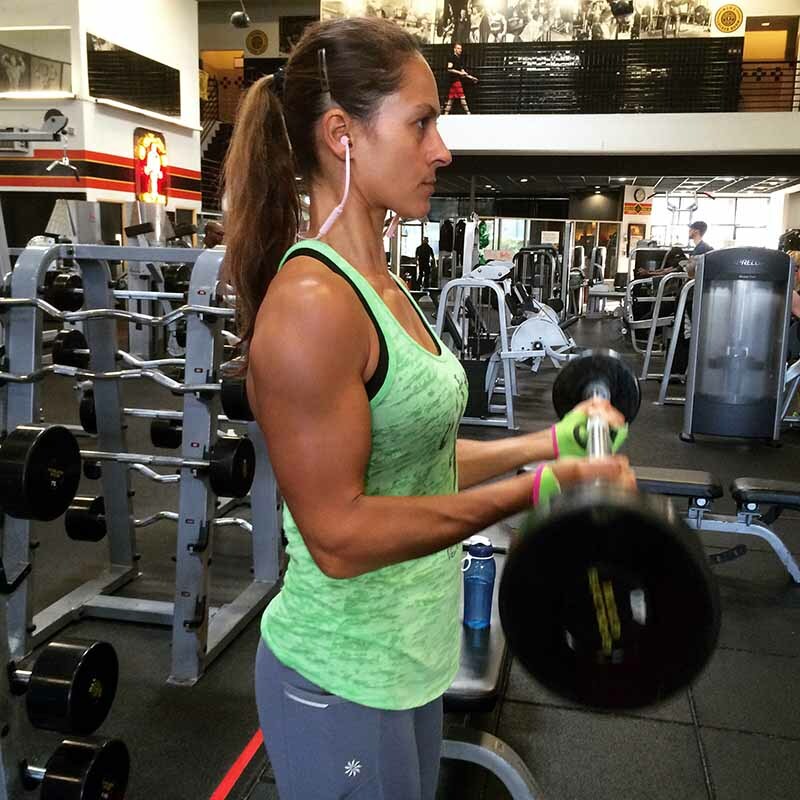 Recommendation: Make resistance training a STAPLE in your exercise program. For help in designing your first routine, check out my post about how to design a resistance training program. Combine this with some form of cardiovascular training multiple times a week for 20 minutes – get creative here and find something you enjoy – and you’ve got a recipe for success on the exercise front. When people first are diagnosed with type 1 diabetes, they typically start insulin. When they start insulin, they typically gain weight. Therefore, insulin is often associated with weight gain. Insulin is necessary for people with type 1 diabetes to live. You already know this. The cycle is like a roller coaster that you just can’t get off, seemingly forever. You’re eating more calories than expected for your goals, and suddenly, BAM! There are a few pounds you did not plan to gain, or your weight loss goals derailed. Yes, insulin is a part of the equation, but not THE WHOLE equation. Keep a “carb/calorie reserve” for lows. If your calorie goal is 2000 per day, consider eating 1900 and leaving those last 100 calories for treating lows. If you end up low, you’ve already built it into your goal as opposed to exceeding it. See your blood sugar trending downwards? Consider a decreased temporary basal (if you use an insulin pump). The exact amount for basal decrease is determined through trial and error, but it could ultimately lead to fewer calories consumed to treat your low. All in all, don’t worry about how much insulin you’re using – worry about keeping your blood sugars in great control and preventing lows, and the insulin amount will take care of itself. To learn more about the best ways to treat lows, read “How to Treat a Low Blood Sugar (Without Eating Everything in Sight)”. This journey may seem daunting, but just remember, slow and steady wins the race. Develop good, healthy habits with diet and exercise, focus on optimal blood sugar control, and stick to your calorie goal – the rest will all fall into place. If you liked this guide on how to lose weight with type 1 diabetes, please sign up for our newsletter (and get a sign-up bonus) in the form below. We send out a weekly newsletter with the latest posts and recipes from Diabetes Strong. Hi all I have been a diabetic for over 19 years had three kids and find a very hard to lose weight also very hard to manage my sugars I would love to know what’s the best diet while on let’s not call it a diet what is the best thing to do to eat healthy and to lose weight? I find myself struggling in different diets and all it does is raise my sugars because maybe I’m not doing things right I need some kind of guidance like a meal plans that I can follow off every single day or just really need help it with some guidance. Ultimately, what you need to do to lose weight is to manage your blood sugars fairly tightly and be in a calorie deficit for a long enough time. You can use any of the meal plans here or create your own consisting of the foods you like. To know if you’re truly in a deficit I’d suggest tracking all your food and calorie drinks (I like MyFitnessPal) and if you don’t lose on that amount of calories, then you reduce it (e.g. 200 calories) and try that out for a while. My mother is suffering from type 1 diabetes. And it is very difficult for her to manage her regular diet. Drinking a lot of water is very helpful in maintaining the insulin value. Thank you for sharing the wonderful article. I’m a type 1 for 36 years. I’ve been trying for a year to lose weight. According to the calorie calculator I “need” 3200 calories. I only eat between 1200-1400 a day. I’ve been doing low carb high protein (in addition to anything I can find that might make a difference). I’ve not lost 1 single pound. I’m extremely frustrated and don’t know what else to do!! Any suggestions? That’s frustrating! Remember the calculator is a way to assess your starting point, and if you’re already eating much less I’d start there. Weight gain can be really frustrating, I get it! First thing I’d recommend you do is figuring out why you are in a calorie surplus. Ultimately you’re eating more than your body needs to maintain your weight which is why you’re gaining weight. I’d suggest you track your food and calorie drinks for 5-7 days (only track if that doesn’t trigger any unwanted eating behaviour), in an app like MyFitnessPal or LoseIt. Then review what you’ve eaten, you’ll most likely be surprised and find where you can cut back. You don’t need to exercise to lose weight but it will speed up the process and ensure that you maintain muscle mass. It can also help you with improving insulin resistance which could be one of the reasons you’re holding more fat in your belly. I’m 27 and diabetic for the last 16 years. I’m now currently strugling to keep my weight and my BG under control. Every time I hit the gym I get an hypo even when I have a snack beforehand and stop my pump a while before starting the activity. The more I exercise the fatter I get and the worse my glucose control. I feel like I have no control over my body/life. What would you recommend? Hi Rose, that’s a frustrating pattern to be caught in. First I’d recommend you spend some time figuring out how much to reduce your insulin before exercise. You might need to do a reduction up to 4 hours before. I recommend sticking with the same type of activity for a while (and the same time a day) and taking structured notes. And remember some types of exercise are less likely to induce low blood sugar, doing resistance training might be a good option for you (and highly recommended when it comes to weight loss especially for us living with diabetes). I am 20 years old and have had type 1 diabetes since 5th grade i have always been a very athletic kid, 3 sport varsity athlete and i am no stranger to the gym but for some reason the only notable fat i have on my body is the lower part of my abs i cant get rid of it. what can i do to change my 4 pack to a 6 pack. Found your website and have been reading …. my daughter is an athletic type 1. Loves lifting weights, and all things athletic. She’s been a diabetic for 17 years now (she’s 28). The frustrations she’s always had with the roller coaster BS #’s and exercise. She’s trying hard… she writes her own little blog, and with writing stuff down, that helps her. I noticed a photo (gray pants, green top…. you’re lifting weights) that you are in — the exercise pants have a side pocket… just what she’s looking for. Wondering if you could tell me the brand of pants these are and if they’re of thick material or thin (see thru.. not good). She’s not wanting to spend an arm and leg to purchase either. I have type 1 diabetes for 50 years. I grew up playing sports as well as doing different kinds of exercises. Some people with type 1 diabetes complain that they gain weight since of insulin. They gain weight since they do not exercise at all. Your article is very interesting to read. I am gaining weight and it’s sooooo frustrating. I eat less and move more to lose weight. I am new at this and really don’t know much about Facebook, I signed up for the fitness challenge starting September 13. is there another place I can go and get the information other than Facebook. Hi Rosamond, welcome to the challenge. You don’t have to use Facebook to do the challenge. You will get daily emails with everything you need. The Facebook group is only if you want to connect and discuss with other challenge participants. It’s an amazing group but definitely not required. 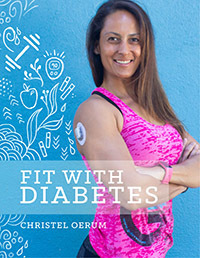 Christel you should be commended for the public awareness and inspiration that you are bringing to the greatest global pandemic of our time in regards to diabetes. Our mission is the same. Are you specifically referring to type 2 diabetes as a pandemic issue? I can’t believe it’s taken me this long to find your site!! Before I found your blog, I had so many questions about exercising and losing weight with diabetes, but had no good source from which to find answers. I’ve tried asking different endocrinologists over the years, but they didn’t have much advice other than ‘drink gatorade before you do cardio to avoid going low’ and other suggestions that were far less detailed and far less helpful than your articles have been. 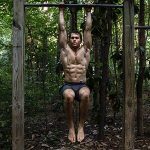 I’m 22, have had type 1 for 16 years and am super interested in learning how to lift/become more competent in the gym. I’ve always been active, but ever since college ,I have found it so frustrating and difficult to work out while maintaining good blood sugars that I’ve ultimately given up on my goal every time I hit a ‘diabetes block’ in my fitness journey – mainly because I didn’t have the info you’re giving me through your articles! So, just want to say thank you SO MUCH!! PLEASE keep up the great writing, I will be sharing your site with every diabetic I know. Aww Kendall – you just made my day. Thank you so much for taking the time to write me, it means the world. And I so happy you found TheFitBlog, we have only been around for a few years so that could be why you didn’t find us earlier. Your message echoes what I’ve heard so many times and experienced myself, that the general guidance we get from our medical team most often isn’t sufficient when it comes to exercising safely and effectively. I promise to do my best to continue to deliver content you’ll find valuable. This is what I was looking for my mother, She has problems with diabetes. Hi Christel, your blog is awesome, I just found it and have read lots of your post, they are so helpful and good. I have been diabetic for 24 yrs, i am 36 and I have always been on the skinny side. Do you have any articles or can you write it, about gaining weight. I have been on this road for a few months and I have had my ups and downs, i was lifting for a few months gained some weight, but for personal reasons had to stop. I have researched and read a lot a about ligting, eating to gaim weight, etc…but havent found much on diabetes and gaining weight…thank u! And keep up the wonderful job. Thank you for the kind words, I’m thrilled that you enjoy my site. I am happy to be learning about how to lose weight with diabetes. It is good to know that getting your diet on point is a great way to lose weight successfully. I have also heard that drinking water with adequate exercise can make all the difference. Thank you for, hopefully, a positive response! I always recommend that you get the green light from your medical team to start out a new health & fitness regime. While eating healthy and exercising is recommended for everybody there’ll be some cases where you need to take certain precautions.